With July comes the height of barbeque season. For people who love to grill that means one thing, showing off their cooking skills. If you really want to impress your loved ones this year, here are three tips for raising your barbeque game. You can’t fake good taste, and this is especially true when it comes to meat. Nothing compares to the rich taste of a good grass-fed beef sirloin steak. Plus, nothing grills like fresh tenderloin raised on a sustainable farm. If you want to purchase the best local meat but aren’t sure where to find it, get meat delivered to your home using a service. One that specializes in sustainable, artisanal food. With options like truLOCAL, you can have a wide range of fresh, local meats delivered to directly to your home. truLOCAL only partners with the best farms, and provides detailed information about where their beef, pork, chicken, and fish comes from. You are guaranteed to be getting the best on the market. The days when a barbeque just meant hamburgers and hot dogs are long gone. While Canadians have been slower to adopt a distinct barbeque culture of their own, today’s grillers are making up for lost time. If you want to really impress your guests this summer, make sure you offer some exotic new favourites alongside the old classics. Everyone loves a filet mignon or juicy tenderloin, right? If you really want to surprise your friends and family, why not serve a buffalo ribeye or a grilled lamb shank? It’s also important to remember that some of your guests may not be big red meat eaters. If you want to make sure there’s something for everyone, you got options. Why not order some wild caught shrimp, or wild caught Alaskan salmon? Shrimp is particularly good with vegetable kebabs, and with a cedar plank, you can give your salmon that perfect smoky barbeque flavour. Meat will always be the main attraction at any barbeque, but that doesn’t mean you should ignore the sides. Whether you’re taking the edge off your hunger while waiting for the next round of steaks to come off the grill, or want to balance the texture of a nice grilled sausage with some greens. Providing your guests with lots of colourful dishes that compliment the main event is sure to attract the right kind of attention. In particular, consider cold options like potato salad and macaroni salad to balance the hot fresh meat. While this bonus tip may not be as exciting, without a supply of fresh, clean drinking water your summertime BBQ may come to a crashing halt. It’s easy to find the best water cooler that is the right size and portability for what you need. Although a less than glamorous element to worry about when planning for your BBQ, it’s extremely important not to forget it. Especially with the crazy heat waves that have been blasting cities across the country. 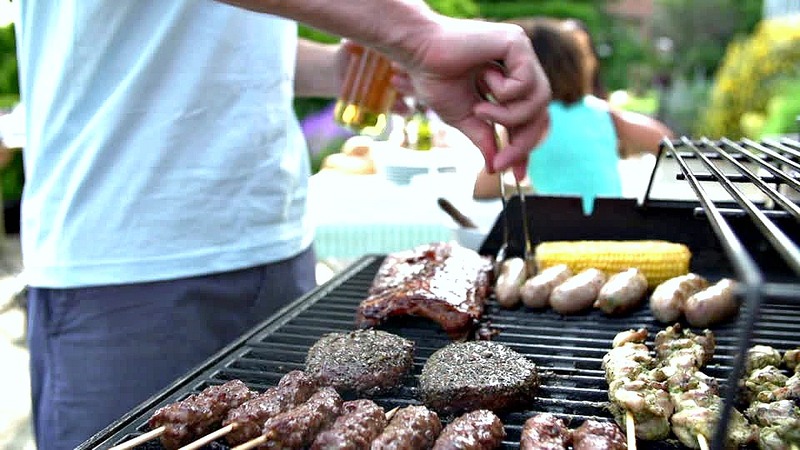 If you like to get competitive about your barbequing and are passionate about good food, summer provides lots of opportunities to brush up on your skills. You’re sure to wow your loved ones. If you really want to raise the stakes this year, remember to source your meat from the best local providers. Explore exciting new options like buffalo, lamb, and seafood, and get creative with the sides. You’re guaranteed to have them coming back for more! What are your BBQ tips?